An English study evaluating the prevalence of MRSA (MRSA stands for methicillin-resistant Staphylococcus aureus) in nursing homes has revealed residents and staff are at risk for contracting the bacteria. The sampling 1,111 residents and 553 staff in 45 nursing homes revealed 24% of residents and 7% of the staff were MRSA carriers. MRSA is a strain of staph that’s resistant to most antibiotics commonly used to treat it. In the older population, the ineffectiveness of certain drugs is dangerous because a weakened immune system has difficulty fighting off serious infection. The prevalence of MRSA is believed to be related in some respects to the overuse of antibiotics. MRSA can be fatal. Medical professionals now use the term, health-care associated MRSA (HA-MRSA) to describe MRSA in a nursing home or hospital setting. Most strains of MRSA can still be treated with the antibiotic ‘vancomycin’. 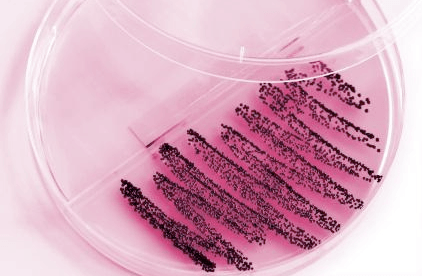 However, new strains of drug-resistant MRSA are now becoming more prevalent and the use of vancomycin to treat MRSA is becoming less effective. If MRSA is isolated to a wound, doctors may chose to drain the would and not presrcibe any vancomycin. Wash your hands. Scrub hands briskly for at least 15 seconds, then dry them with a disposable towel and use another towel to turn off the faucet. Use hand sanitizer containing at least 60 percent alcohol for times when you don’t have access to soap and water. Keep wounds covered with dry bandages. Shower frequently with soap and water.